Vale Verde - Town Houses - Treadstone Homes – Safe Investments . Outstanding Results. 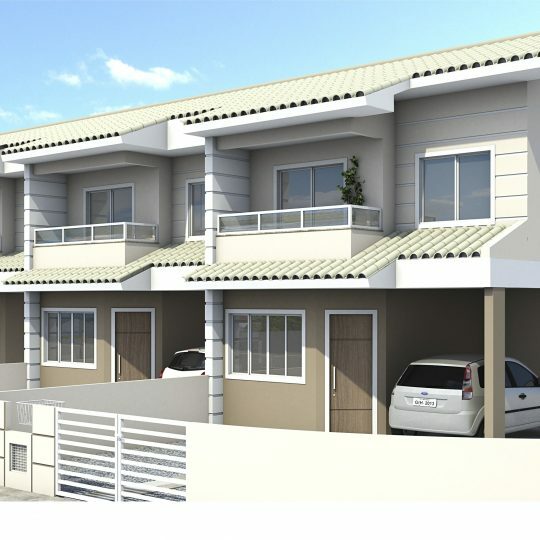 A high quality development of sets of 3 terraced townhouses in the popular Vale Verde complex. Treadstone Homes has purchased several plots suitable for construction during 2017 and 2018. The newly built 2 bedroom townhouses benefit from generous gardens and a drive way for 2 cars (one of which is covered). The townhouses are approved by Caixa and Banco do Brasil under the ‘Minha Casa Minha Vida’ housing scheme and eligible buyers will benefit from this popular country wide financial support program. As a result, Treadstone Homes anticipate a rapid sale.